What if suddenly Kratom gets banned the next day? I would like to express my agony through fighting for Kratom against the ban. I would also wish to say what must you stand if this situation arises. It is plain and clear that Kratom is used by millions all over the world and it would unfair on our part if we remain as loyal consumers of Kratom. Since Kratom is a personal choice for which we ready to fight, it is the inevitable reality that even fight must be personal. We shouldn’t wait for any associations. We just need to find ways to get ourselves involved in the fight. It is not very difficult to find companions who are doing this for a long time through the help of internet services. The way to prove our point in the fight is showcasing the scientific facts. Representing facts could become a seed in turning the events. There are many reports of several Biologists who had expressed no-harm surety from Kratom. Education is the only path that could be an eye-opener. I would like to discuss the actions must be taken against the Kratom Ban in the following account. What are our actions regarding Kratom Ban? It is quite contradictory nature of the authorities when several doctors expressed the value of Kratom and even then their stand remained unchanged. On the other side, there are doctors who blatantly refuse the scientific merit of the Kratom plant. 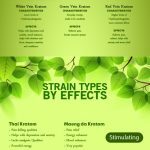 There are many pieces of evidence regarding some doctor’s false allegations regarding Kratom and they are the ones who stand strong in the process of banning Kratom in several nations. To be straight and clear, we are against them and their baseless allegations without prior knowledge and examination. There are some doctors who had proven that those allegations are nothing but a hoax. Here is one such fine instance; the name of the doctor is Derek Lowe who had said exactly what my point is all about. He expressed the resolute stands of all the administrative authorities like Food and Drug Administration of the United States. He emphasized that there is experimental evidence of Kratom strains being human opioid receptors. He had also shared a press note released by the agency which states there are several compounds that are known to activate opioid receptors in the human system in which one compound is mitragynine (Kratom). He expressed his utmost faith in well-controlled experimental data system and he trusts those data models produce significantly truthful results. It is very unfortunate that the FDA isn’t considering the experimental results. They only are taking nothing but generic results into their attention. Very few get the pleasure of getting in touch and discussing with Dr. Jane Babin. He had been sharing his insights on Kratom and the unfair ban imposed on all of its varieties. He had shared truths like about videos that are been lifted away in YouTube for explaining the factual science of Kratom powder. The freedom of expression is being muted away by authorities who are against the rise of Kratom. Not just YouTube all major social networking sites have a problem with Kratom. Even Facebook deleted some scientific information regarding the Kratom and its benefits. The FDA is very much against the Kratom and controlling using all its command and not letting know the consumers about the virtues of Kratom. There are several videos which got deleted, I was fortunate to watch a chunk of those lifted videos. In one of the videos which got deleted recently, Dr. Babin discusses the reasons for FDA’s stand against the Kratom in a detailed manner. He would also emphasize on the point of the necessity of the fighting. It is a conscious duty on my side to educate my fellow loyal consumers of Kratom Powder. All I wish to say is educate yourselves and don’t become the preys. The Kratom ban is still prevalent and we have to stand up against the unfair ban upon Kratom.